Opportunity Zones are a newly established Federal Tax incentive for certain designated census tracts. This is being used across the U.S. for manufacturing, housing and other developments as a way to invest capital gains into those projects to reduce Federal capital gains taxes or eliminate them entirely. CPA and investment firms are establishing Opportunity Zone Funds as a conduit between investors and the projects. The link below is from the WA State Dept. of Commerce and provides much more specific information. The Kelso and Longview Opportunity Zones are on the map in green. Eight days after reaching a tentative deal with International Raw Materials, Port of Longview commissioners Wednesday agreed to enter a new five-year lease with the terminal operator, in what is expected to bring millions of dollars in new revenue and dozens of jobs to the port. Commissioners Jeff Wilson and Doug Averett approved the lease as presented to the commission last week, but Commissioner Bob Bagaason abstained, citing concerns about the process being too rushed. The commissioners gave the green light on the lease despite opposition from the local longshoremen’s union, which said it still has jurisdictional issues to work out with IRM. IRM President Tip O’Neill said the company was committed to working with the ILWU to address any remaining concerns. Commissioner Jeff Wilson said the lease explicitly states that IRM will have to honor the port’s working agreement with the ILWU. Under the deal, the port will make an additional $1.5 million to $2 million annually from Berths 1 and 2, now collectively called the Bridgeview Terminal. Currently, the Bridgeview Terminal isn’t breaking even. In its first year of operations, IRM would guarantee that 250,000 metric tons of product would be shipped through the terminal. That would double in the second year, hitting 500,000 metric tons annually and possibly exceeding that minimum if IRM can attract more business. The company will handle pot ash, soda ash and other dry bulk commodities. That level of volume could support more than 30 longshoremen jobs, although it’s possible that jobs number could be higher if the terminal is busier. According to a 2012 economic impact study of Berth 2, there are about 15 direct jobs supported for every 220,000 metric tons of cargo shipped at the dock. “We’re committed to being a good neighbor, to running a safe operation and protecting the environment,” O’Neill of IRM said Wednesday. IRM’s first ship is expected to dock next Tuesday. Check tdn.com later for an update. TDN Article: The Port of Longview announced Thursday the hire of 20-year maritime veteran Mark Price as its new director of marine terminals. The Port of Longview announced Thursday the hire of 20-year maritime veteran Mark Price as its new director of marine terminals. Price will manage cargo operations as the port undertakes a number of major infrastructure projects and continues to expand, the port said. Price previously oversaw Kinder Morgan’s operations in Portland, Vancouver and Longview. Price will work closely with the business development department to establish key marketing cargo strategies to expand the port’s customer base, the port said. To prepare and promote a skilled and adaptive workforce for a thriving economy in Southwest Washington. Welcome to our fall workforce system newsletter. September was National Workforce Development Month and October is Disability Employment Awareness Month. We’ve been busy celebrating both with numerous events, including Tech Tours, an employer breakfast to discuss how to develop youth workforce programs and Manufacturing Day. Read about them in the articles that follow. To increase our reach and share workforce news, WSW is now on Twitter. Follow us and like us @WorkforceSWWA. 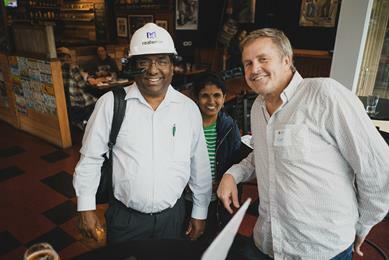 Southwest Washington's burgeoning tech community was on display during the first annual Tech Tour on September 19. 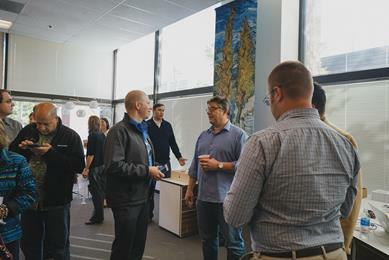 More than 80 individuals visited 18 tech companies, some of which had taken up residence in downtown Vancouver breweries, restaurants, coffee shops and co-work locations to make it easier for participants to walk to the locations and maybe catch a bite and brew for dinner. The event highlighted some of the area's most promising and established tech companies. 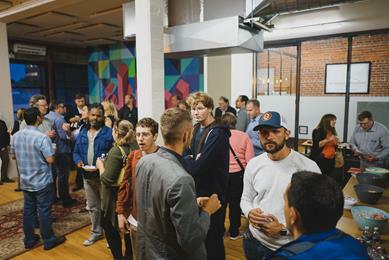 The tour began at The Bridge Incubator, a local source for startup support and mentorship, and continued to breweries and other locations before ending at a VanTechy after-party at co-work space Columbia Collective. 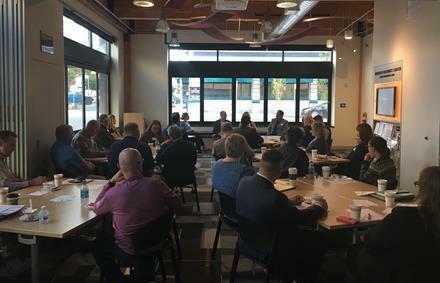 The Tech Tour collaborators, Workforce Southwest Washington, VanTechy, The Bridge Incubator, Columbia River Economic Development Council and Technology Association of Oregon plan to make this an annual event. Photos compliments of Technology Association of Oregon. Tech Tour kick-off at The Bridge Incubator. Trying RealWear at Trusty Brewing. SigmaDesign at Old Ivy Taproom. VanTechy meet-up at Columbia Collective. Tech company leaders came together recently to discuss apprenticeship for SW Washington. Key points from the discussion were that although employees with hard skills are needed in the junior developer space, soft skills training is needed for entry- and mid-level employees. WSW will be working with industry leaders to develop a Tech Thought Leader Group to further the discussion around tech company workforce needs. Review the Tech Talent Workforce Plan. (l to r) Mike Lee, Home Depot Quote Center and Dave Barcos, The Bridge Incubator. (l to r) Kevin Getch of Webfor and Michael Wall of Great Western Malting. In the next 10 years, more than 15,000 new construction jobs are expected in the region. At the same time, one-fifth of the construction workforce is at or nearing retirement age. The plan was rolled out at an October 5 event co-hosted by the Building Industry Association of Clark County (BIA), the Southwest Washington Contractors Association (SWCA) and WSW. 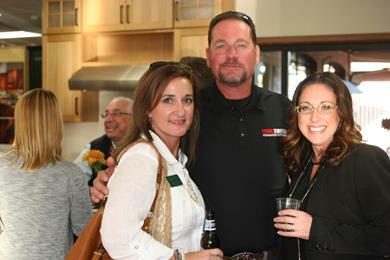 More than 60 people attended the event that was sponsored by and held at the DeWils Design Center. BIA Executive Director Avaly Scarpelli talks about how the BIA will use the Construction Workforce Plan to help its members. 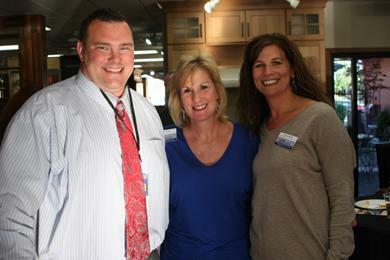 (l to r) Derek Jaques, Career & Technical Education Director with Camas School District; SWCA Executive Director Darcy Altizer and SWCA Board Member Tracey Malone of Halbert Construction. WSW's Industry Initiatives Manager Melissa Boles explains the Construction Workforce Plan goals. (l to r) BIA Board Member Dawn Bell, HomeStreet Bank; Mark Williams, TerraFirma Foundation Systems and Jennifer Ramsay, WFG Title. Later this year, WSW and its Columbia-Willamette Workforce Collaborative partners will launch an outreach campaign and website to increase awareness of manufacturing, health care, construction and technology and encourage youth and adults to learn about career pathways and jobs in these industries. These sectors are projected to produce a large number of new jobs in the coming years, but opportunities and skills needed are not clearly understood by job seekers, youth and their parents. Thank you to the companies that co-invested in the manufacturing campaign: Analog Devices (Linear Technology), Columbia Machine, Madden Industrial Craftsmen, SEH America, Silicon Forest Electronics and Vigor and the Columbia River Economic Development Council for its ongoing partnership. or 360.567.1076 to learn more. More than 30,000 manufacturing jobs in the SW Washington-Portland region will need to be filled in the next decade, largely due to workers retiring. To interest the next generation in these jobs, and in honor of National Manufacturing Day, 10 companies hosted nearly 200 young adults, including students from the Washington State School for the Blind, Educational Service District 112’s Connect 2 Careers program and several school districts at a Manufacturing Day fair on October 3. 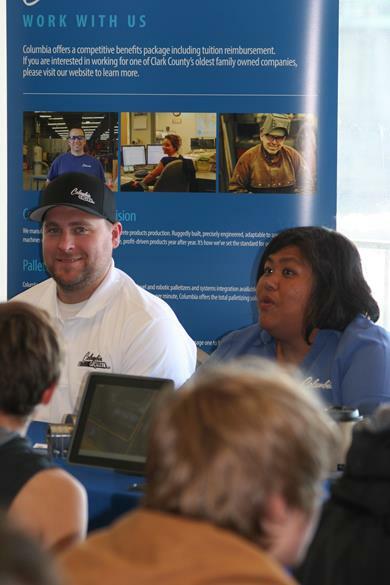 The students learned about potential career opportunities, apprenticeships and high-paying jobs, many of which don’t require a four-year college degree, and toured the Port of Vancouver. The event’s goal was to demystify manufacturing by exposing students to local companies and potential future jobs and careers. Thank you participating companies: Analog Devices (formerly Linear Technology), Columbia Machine, Frito Lay, Graphic Packaging, General Sheet Metal, Port of Vancouver, Silicon Forest Electronics, USNR, Clark College Mechatronics Program and WorkSource and event space sponsor Warehouse 23. WSW has added two new members to its volunteer board of directors. Robert Harris, Vice President, JH Kelly, has more than 30 years of experience in the construction industry and will represent Cowlitz County private sector. 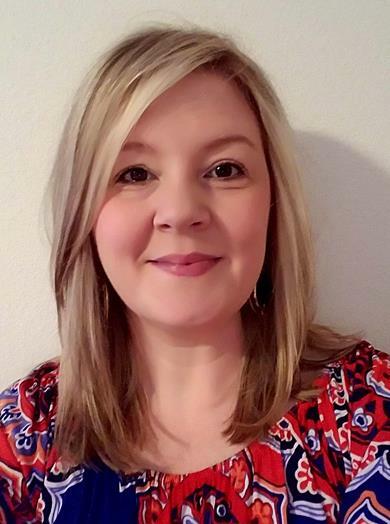 Bianca Kolle, Vocational Rehabilitation Supervisor, Division of Vocational Rehabilitation (DVR) brings more than 14 years of experience serving individuals with disabilities and represents DVR in Clark County. The workforce board includes representatives of private businesses, education, organized labor, local governments, community-based and nonprofit organizations, state agencies and economic development councils. See a complete list of WSW Board members. The Columbia River Economic Development Council (CREDC) Board of Directors recently adopted Phase II of the 2017 Clark County Comprehensive Economic Development Plan. The plan establishes a 20-year vision with countywide goals and objectives, outlines an implementation plan to achieve specific action items over the next five years, and identifies key metrics to track and report progress. WSW received a $20,000 grant from the Honorable Frank L. and Arlene G. Price Foundation to help at-risk youth in South Kelso learn work-related skills through design and creation of a community mural. In partnership with Goodwill in Longview, Educational Service District 112 (ESD112) and Urban Artworks, youth ages 16-18 will participate in the South Kelso Mural Academy in 2018. The youth will work with artists and muralists to execute a large-scale piece of public art, while learning teamwork, leadership and soft skills. “Frank Price was a retired Cowlitz County Superior Court Judge and Arlene Price taught art at Huntington Junior High in Kelso. Their private foundation was founded on three principles health, education and historical preservation. The board of directors of the foundation believes this art project will further the education of youth desperately in need of guidance at a critical time of their lives,” said Kay Dalke-Sheadel, Executive Director of the Price Foundation. The foundation gifted $175,000 in Clark and Cowlitz counties in 2017. 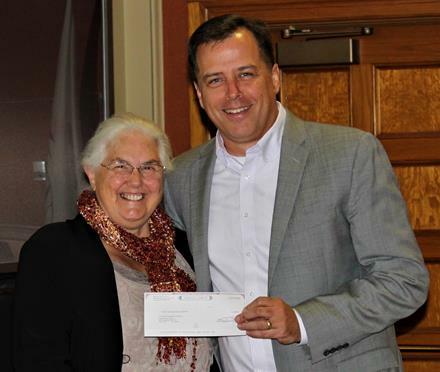 Photo (l to r) Price Foundation Executive Director Kay Dalke-Sheadel presents grant check to WSW Board Chair John Vanderkin. Linking to Employment Activities Pre-release (LEAP) is a WSW partnership with the Clark County Sheriff’s Office Re-Entry program that brings WorkSource services into the county jail to help incarcerated individuals increase skills so they can gain employment upon reentering the community and decrease recidivism. The program is making a difference. One participant said in an interview: “Without LEAP, I don’t know where I would be. I wouldn’t have school or WorkSource or a solid resume or a way to get around. This has changed everything for me. The day I was released I had medical insurance, food stamps, all the things I needed to be successful. While incarcerated, I registered at Clark College and now I am a full-time student. I worked with WorkSource and am getting my certiﬁcates to become an industrial hygienist." LEAP began in December 2016 and 138 individuals have received services, including job search assistance, resume writing and interviewing skills. At least eight have obtained jobs. WSW funded the two-year pilot through an $800,000 U.S. Department of Labor grant. Kevin Perkey oversees WSW’s adult and collaborative grant programs. Before joining WSW, Kevin was CEO of South Central Pennsylvania Works (SCPa Works), a regional workforce development board investing more than $12 million of public workforce development funds across an eight-county region of Pennsylvania. Prior to SCPa Works, Kevin was Director of Youth Programs at the Three Rivers Workforce Investment Board in Pittsburgh, Pennsylvania. He has also held positions in a nonprofit technology services organization that delivered cloud-based application development, GIS analysis and community business intelligence services to the nonprofit sector. Kevin has a BA in Environmental Studies and a Master's in Public Administration and Nonprofit Management, both from the University of Pittsburgh. He has served in leadership roles on several boards, most recently serving on the board of the U.S. Conference of Mayor’s Workforce Development Council. 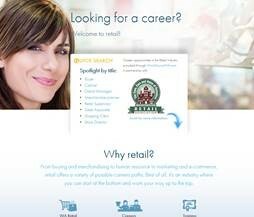 The Washington Retail Association and WorkSourceWA.com have partnered to create a web page to eanble job seekers to explore retail as a career. The page provides information on wages, employment, training and testimonials from people who work in retail. Businesses wanting assistance to fill open jobs can contact a WorkSource Business Solutions Representative for staffing assistance at no cost or view the more than 150,000 resumes available on WorkSourceWA.com. Job seekers can post resumes, apply for jobs and learn about hiring events at WorkSourceWA.com. National Disability Employment Awareness Month (NDEAM) is an annual campaign to raise awareness about disability employment issues and celebrate the contributions of America's workers with disabilities. The theme for 2017 is "Inclusion Drives Innovation." WSW is engaged in a variety of activities to increase awareness of disability employment issues for both adults and youth. Nine students from the Washington State School for the Blind attended the October 3 Manufacturing Day event to hear from local companies about employment opportunities. "It is also a great opportunity to educate potential employers about the skills and abilities that blind and visually impaired youth can bring to the workforce," said Youth Services Specialist Marcie Ebarb, M.S. WSW staff has been involved in planning the October 11 Inter-State Disability Employment Alliance event for employers that gives them the opportunity to learn about how to hire employees with disabilities, learn about what resources are available to assist both the employer and the employee, and hear from employers who have successfully hired employees with disabilities. 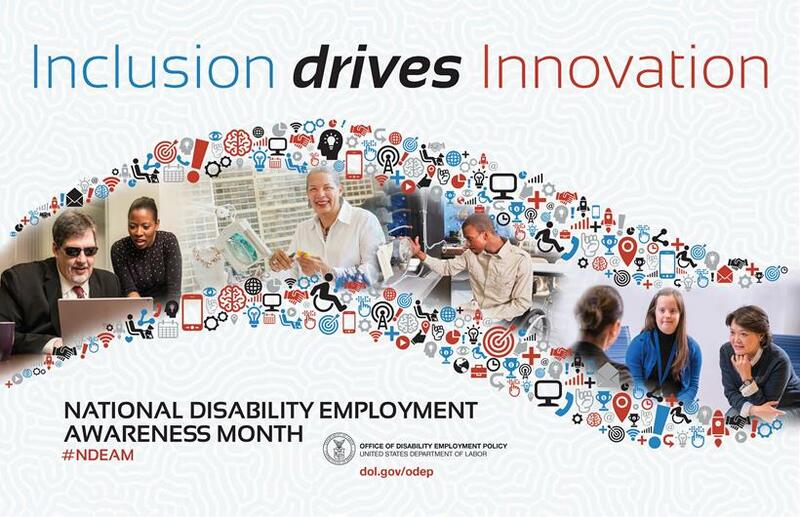 If you would like to help promote NDEAM, the U.S. Department of Labor’s Office of Disability Employment Policy (ODEP) has a wide range of tools available and in your social media outreach, you can use #DisabilityEmploymentAwarenessMonth. to see if your company qualifies for free training. The Washington Workforce Conference is November 7-8 at the DoubleTree Hotel in Seattle. Check the website for conference details and hotel information. WorkSource in Vancouver is holding hiring events featuring numerous companies on the second and fourth Wednesdays of every month from 10 a.m. to noon at WorkSource, 204 SE Stonemill Drive, Suite 215, Vancouver 98684. Job seekers should bring copies of their resumes and dress for an interview. Free resume writing and interviewing workshops are available at the WorkSource centers. Washington State Employment Security Department (ESD) has launched a #PowerofaJob campaign to tell the stories of how ESD helps people get jobs and supports them while they look for work. New stories are added every Wednesday. Sign up for the blog or follow the posts on Twitter or Facebook. The next Youth Employment Summit will be held on April 10, 2018. The first event in May 2017 drew more than 50 companies and 200 students who participated in mock interviews and hands-on activities to learn about industries, career pathways and required skills and education. Some youth also applied for summer jobs and several were hired at the event. Approximately 30 employers that participated in the May event attended a breakfast to learn tips on how to engage with young adults. SEH America, Silicon Forest Electronics and NW Motor Service, companies with robust youth engagement programs, shared best practices. The discussion touched on various ways businesses can address their own need for future employees. 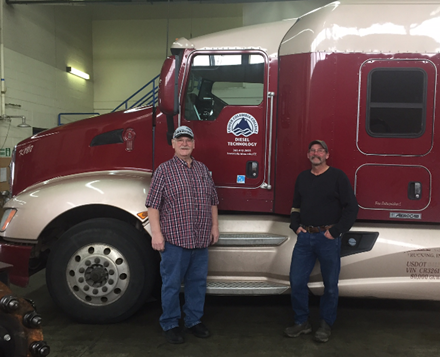 After hearing from employers that the Commercial Driver License (CDL) is a must have for success in the Diesel Technology and Transportation sector, Lower Columbia College (LCC) began offering both Class A and Class B CDL courses for students and incumbent workers. Obtaining either license can help an individual enter into a career that is in high demand in our area. 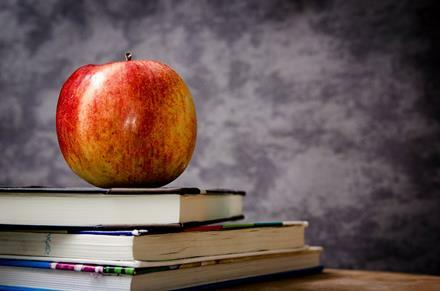 Running cohorts of four students each, LCC has successfully trained 13 students for Class A CDLs and seven students for Class B. LCC’s program offers small class sizes that allow students to get the individual attention they need to be successful. Laurie Williams first connected with WorkSource at a community outreach event in Wahkiakum County, where she lives. 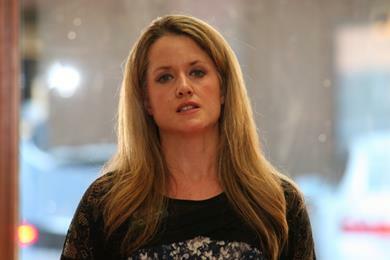 Laurie was a business owner prior to moving to Washington State. When she and her husband settled in Cathlamet, Laurie went to work for Wahkiakum County as a clerk. She was laid off after two years. Laurie sought retraining assistance through WorkSource in Kelso. 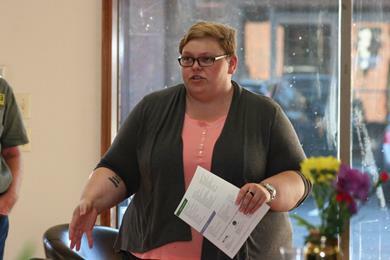 Over several months, she attended WorkSource’s job seeker workshops and Strategies for Success series. 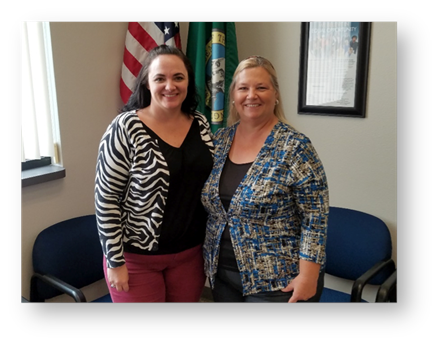 Her WorkSource case manager walked her through the training scholarship process and partnered with Lower Columbia College (LCC) to assist Laurie with her admission, registration and financial aid application. After researching occupations, Laurie decided Accounting/Financial Advising would best match her interests and skills and lead to long-term, self-sufficient employment. She received a tuition scholarship, gas assistance and funding for books and school supplies from WorkSource to help her be successful in her new training program. Photo (l to r): WorkSource Case Manager Sandra Schmaltz and client Laurie Williams. As hiring becomes more challenging for many companies, the Emerging Leaders Internship (ELI) program gives companies access to a rich and diverse pool of potential candidates for 10-12 week summer internships. ELI matches college students—first-generation, low-income and students of color—with paid internships at top companies. The program will be available in Southwest Washington in summer 2018. ELI is hosting an event on November 14 in Vancouver and companies will have an opportunity to learn about the program and meet the ELI team. //eli [at] portlandleadership.org/" style="color: rgb(26, 99, 34); font-weight: bold; text-decoration-line: none;">Click to RSVP. or go to http://emergingleadersinternship.org for additional details. ESD112 will open an early learning center at 524 1st Street in downtown Kalama in mid-October. The full-time center will serve eight infants and eight toddlers. In addition to private pay childcare, eligible families may qualify for free childcare through an Early Head Start grant. The center will also take DSHS childcare subsidies. All staff are highly qualified in meeting the unique needs of infants and toddlers. Ten teachers spent part of their summer vacation at local companies learning the latest about their fields. In its August newsletter, a host company wrote: “Silicon Forest Electronics recently hosted a teacher from the Vancouver School District as part of their "Externship" program. Ian Hurst is an Electronics and Pre-Engineering/Design Teacher at iTech Prep, and he received 40 hours of immersion time within the manufacturing operations of Silicon Forest Electronics. The externship experience helps teachers, like Ian, connect classroom content with students' future career interests and helps students develop both the academic and technical skills required in the world they are preparing to enter. We are grateful to have been part of a positive and profound experience for Ian!" The externships were funded by Workforce Southwest Washington (WSW) through a YouthWorks grant. YouthWorks, a career-readiness project to help youth prepare for living-wage careers through internships, mentoring, job shadowing and other work-based learning experiences, is a collaboration between WSW, Partners in Careersand local school districts. The Washington State Department of Commerce has reauthorized the Vancouver/Camas Innovation Partnership Zone (IPZ). The goal of IPZs is to stimulate growth of industry clusters and build strong regional economies. IPZs empower regions to form partnerships among research entities, private-sector partners and workforce training to collaborate and develop commercially viable technologies. IPZs are designated for four-year terms. 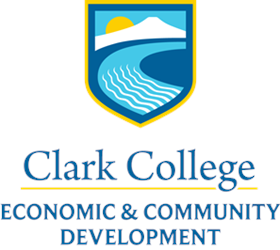 Clark College Economic & Community Development is hosting a free open house for businesses and professionals on October 17 from 5 p.m. to 6:30 p.m. at its downtown location at 500 Broadway St., Room 214 in Vancouver. 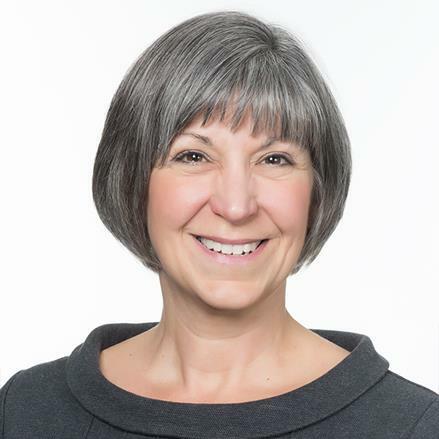 Guest speaker Mara Woloshin, M.A., APR, Fellow PRSA, will give an overview on Medicare, Medicaid and Social Security issues facing business owners and professionals, including Medicare options and critical decisions and strategies on when to start utilizing Social Security and retirement benefits. There will be time for networking and an opportunity to meet instructors, check out the downtown location and learn more about resources at Clark College. Evergreen Habitat for Humanity is accepting applications for its home ownership program from October 14 to November 14. Orientations are the first step and will be held in October. To learn more, call 360.737.1759 or email //melissa [at] ehfh.org/" style="color: rgb(26, 99, 34); font-weight: bold; text-decoration-line: none;">melissa [at] ehfh.org. View media coverage, press releases and past newsletters at Workforce News. Clark County: 204 SE Stonemill Drive, Suite 215, Vancouver, WA 98684, 360.735.5000. Click to view Clark County Workshops and Hiring Events. Cowlitz-Wahkiakum: 305 S. Pacific Avenue, Suite B, Kelso, WA 98626, 360.577.2250. Click to view Cowlitz/Wahkiakum Workshops and Hiring Events. 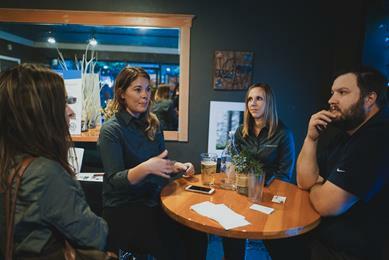 of the workforce in Clark, Cowlitz and Wahkiakum counties. to businesses, job seekers and youth. You're receiving this because of your interest in workforce development. WSW is an equal opportunity employer and provider of employment and training services. Auxiliary aids and services are available upon request to individuals with disabilities. Washington relay: 711.